If you were watching Morning Drive Saturday you’d have witnessed the surreal scene of Patrick Reed taking a lesson from David Leadbetter after missing Friday’s Valspar Championship cut. There was the current Masters champion in the middle of the range having the legendary swing guru discussing all elements of his action in what appeared to be a lively exchange of ideas. The two started working earlier in the week on Reed’s swing. Turns out, reports Will Gray of GolfChannel.com, it was Reed’s wife Justine who reached out to Leadbetter. Leadbetter is an area resident who was already in town, and he explained that it was Reed’s wife, Justine, who reached out to him via phone Thursday afternoon to see if he could meet for an impromptu lesson. Asked about the decision to have his wife reach out to Leadbetter on his behalf, Reed explained that he has “full confidence” in any decision made by Justine, who caddied for her husband before getting pregnant with the first of the couple’s two children. Butch Harmon adapted to the times, watching his star pupils warm-up during all rounds in majors after so many years of being on a plane home by Wednesday night. But the instructor world has changed and now they are expected to hang around until the bitter end. But it seems the legendary instructor has finally seen enough, reducing his teaching work to home in Las Vegas, reports The Forecaddie. So pros, if you want Butch, head to Vegas. According to The Forecaddie, Harmon is also saying goodbye to Sky Sports broadcasting work at the 2019 Masters. Harmon and brother Billy were sensational guests on Gary Williams’ 1 Up podcast recently, and in the show Butch does blurt out a mention of being “burned out” on tour life. It's probably too late for 2018 Ryder Cup vice captain Padraig Harrington to get asked for his cart keys back following a Czech Masters second place finish to Andrea Pavan. But the 47-year-old, who has tried some intriguing on course moves, is sporting his most fascinating move yet, presumably with an early takeaway pause/set inspired by his work with instructor George Gankas. He also feels he can still win on the European Tour after shooting 20-under-par and who would disagree? 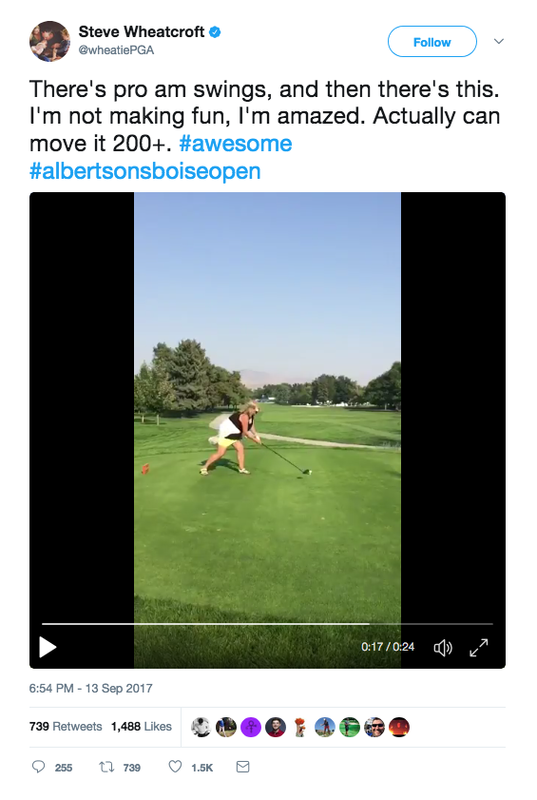 Steve Wheatcroft thankfully recorded his playing partner's swing from Wednesday's Albertson's Boise Open pro-am. The as yet unnamed member of Wheatcroft's group stripes her drive 200 yards and is in a good place at impact. The rest, however, is fantastic. Including the cape effect of the follow through with what I assume is just a sweater tied around her waist. It's sort of Moe Norman meets Happy Gilmore. Guy Yocom wonders if Mr. Secrets in the Dirt Ben Hogan would have embraced Trackman and what his numbers might have said about his swing. The near-universal belief that Hogan swung the club slightly to the left through impact requires that his clubface not be open relative to the target. An open clubface combined with a leftward path, is a lethal combination—slice city. Thus, the teachers who voted for a -1 path, all combined it with a clubface that was at 0—perfectly square to the target line. This indicates that Hogan was, above all, a “path fader.” The very slight left-to-right fade he imposed—again, we’re talking a few yards here—was the result of his path, not an open clubface. One teacher (Leadbetter) suggested that Hogan’s clubface could have been -1, or closed to the target line. But he combines it with a path that was possibly -2, making it a safe and reasonable opinion. I think another fun question for the group: how much would Hogan have used a Trackman? Before and after every round, or just on occasion? Or not at all? Great Read: Pete Cowen's "My Shot"
Take That Barkley: "He looks more like he’s giving a Charades clue than making a golf swing"
While Charles Barkley's backswing hitch/pause/dance move will always be tough to top, Jack Van Meerbeeck manages to add himself to the Golf Swing HOF with a move that looks a tad painful! Tom Stinkney at GolfDigest.com with the analysis of a swing that once broke 80. Jack’s swing actually starts out pretty routine, but when his hands get about chest high, things get nutty. 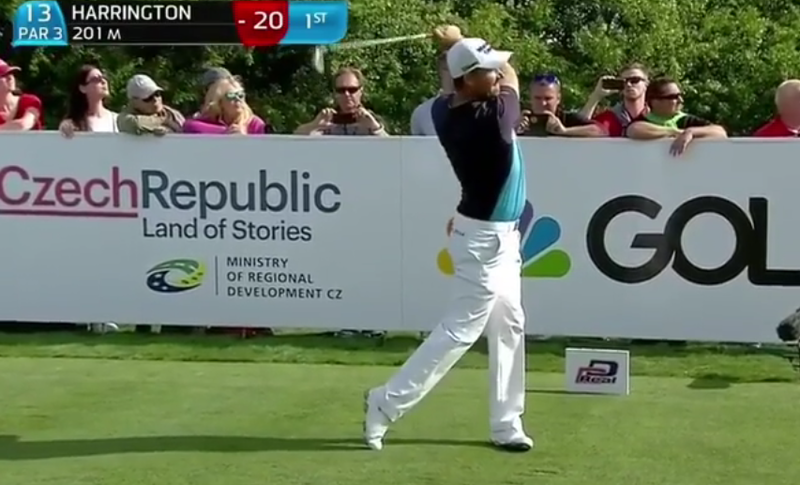 He flips his wrists over his right shoulder, and the shaft goes upside down and dips toward at the ball. I have to pause and say, anytime your hands block your view of the ball at the top of the backswing, something very special is happening. He looks more like he’s giving a Charades clue than making a golf swing, but the man finds a way to get back to the ball—and that’s all that matters. This is the swing of 58-year-old Jack Van Meerbeck. More on it at GolfDigest.com. Thanks to the readers who sent in Gary D'Amato's obituary of Manuel de la Torre, golf instructor extraordinaire who passed away at 94. The man who helped thousands also worked with Carol Mann and Tommy Aaron. He eschewed modern teaching philosophies that focused on specific body positions and movements. Though he could talk in great detail about the geometry and physics of the swing, his method was based on the simple concept of swinging the club toward the target. "You don't think about your elbow when you're brushing your teeth," de la Torre said in a 2015 interview with the Journal Sentinel. "And yet, you're very successful at brushing your teeth. But this is what happens with golf. People are not concerned enough with what they have to do with the club. They focus either on the body or the ball, and neither of those things produces consistency. Tim Rosaforte looks at the short but prolific life of instructor Wes Mensing, who died in January at 27 but left his legacy at Plainfield (site of this week's Barclays) and beyond with his many students. Video: Sir Charles Barkley Is Cured! 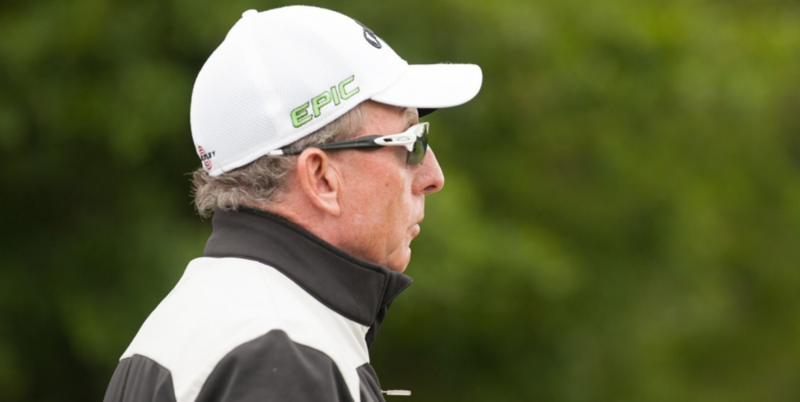 "Golf pros are like chiropractors.They want you to keep coming back." Matsuyama's Star Rising...Without A Swing Coach! "It amazes me how he had this ability to connect with people."